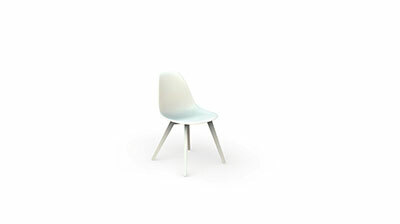 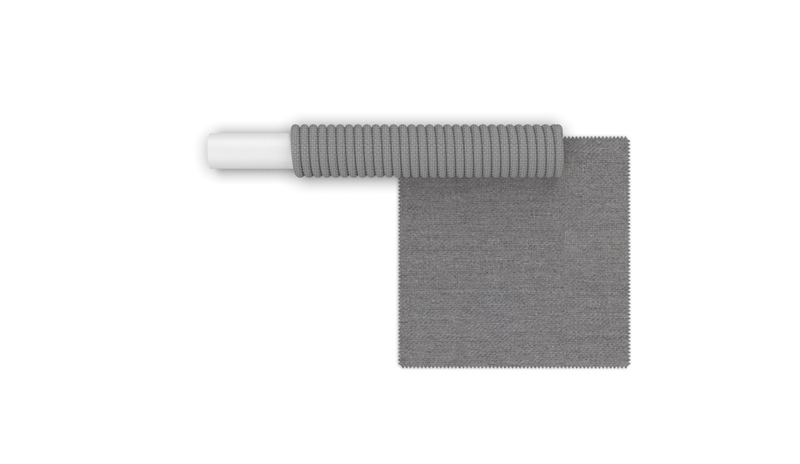 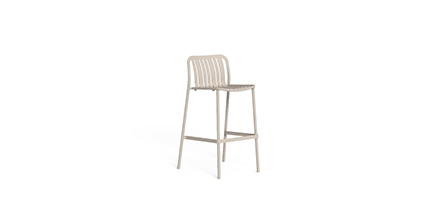 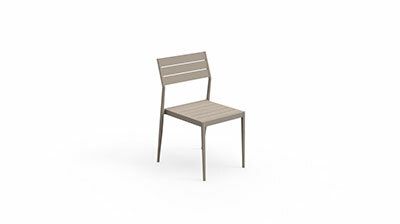 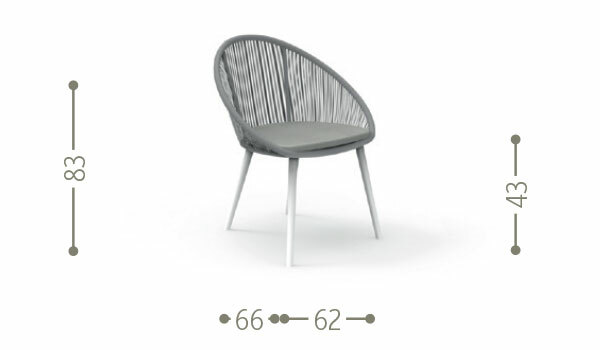 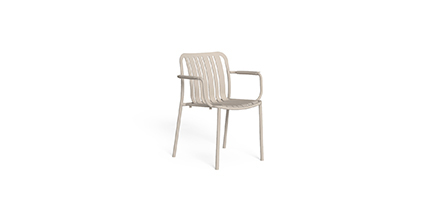 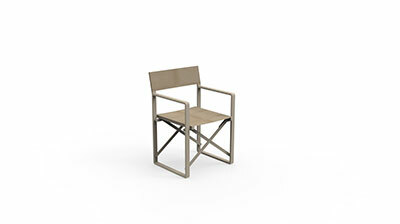 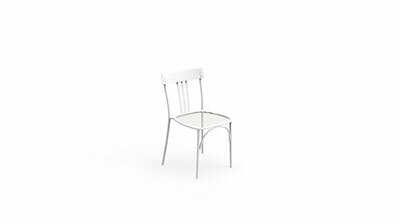 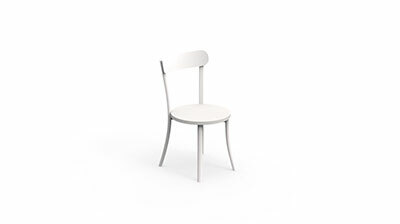 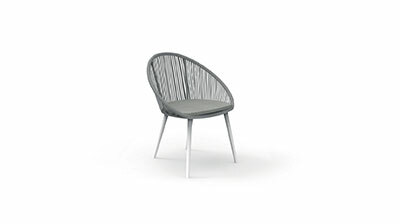 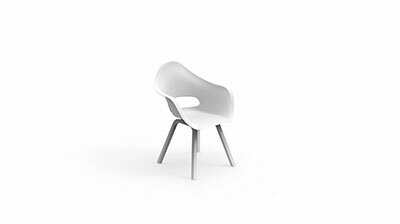 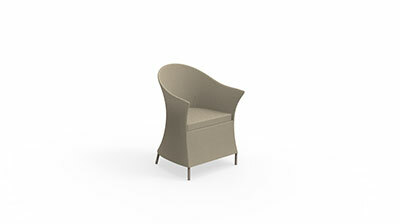 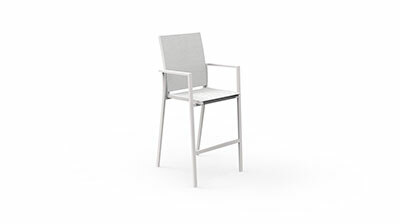 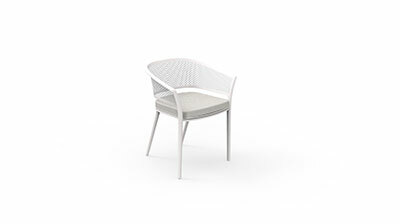 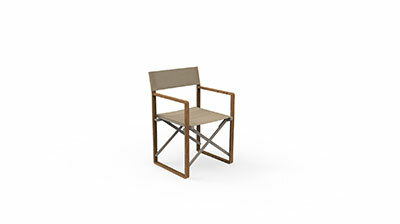 The soft shapes of Rope products are also present in the dining armchair. 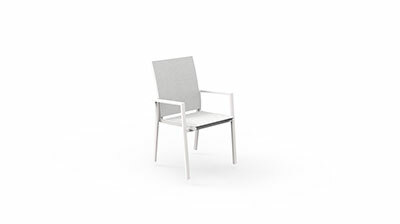 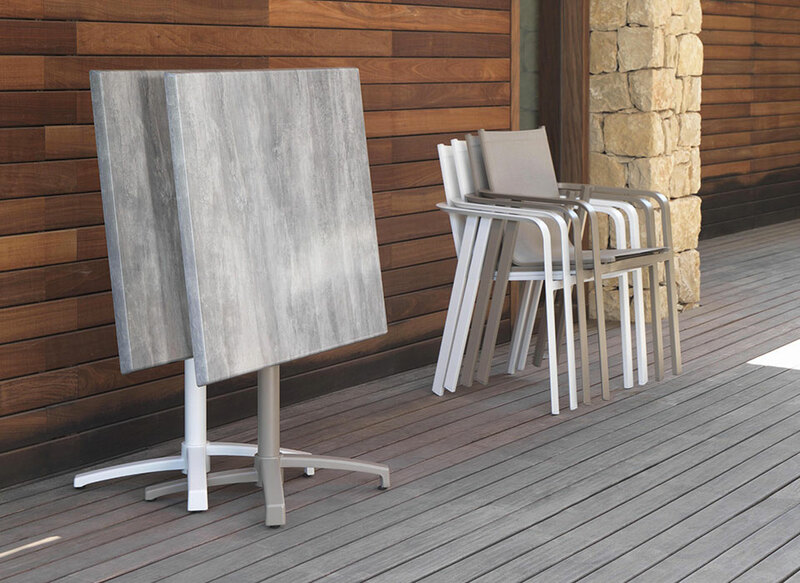 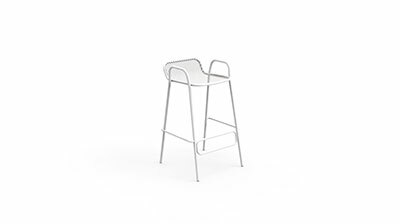 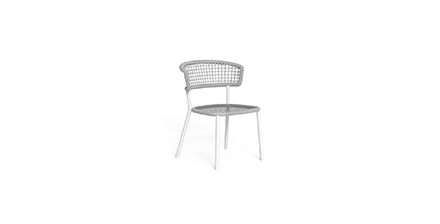 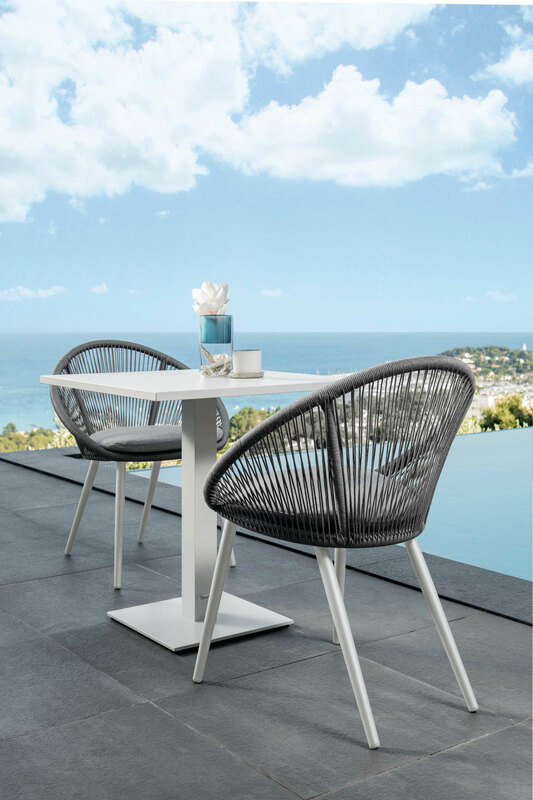 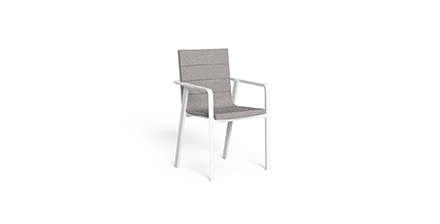 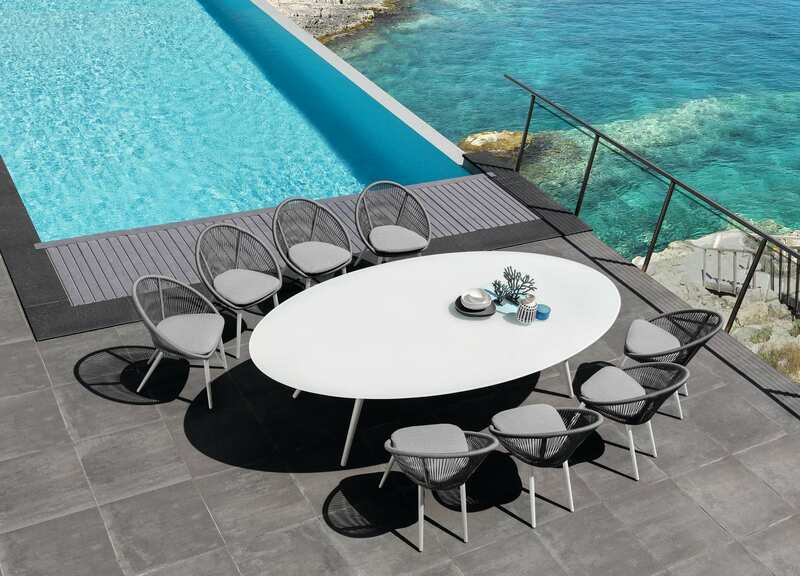 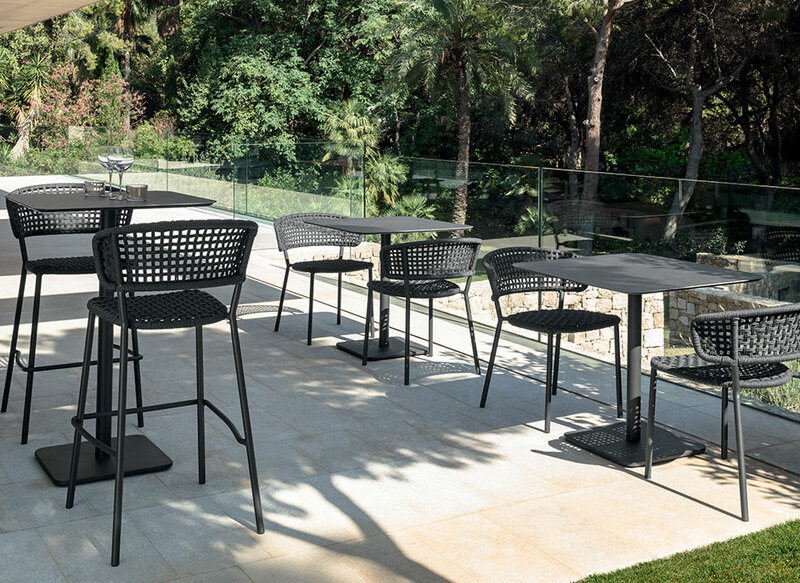 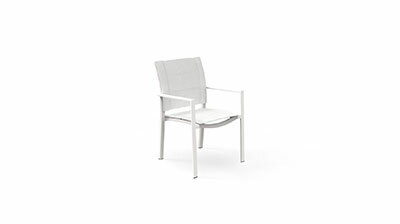 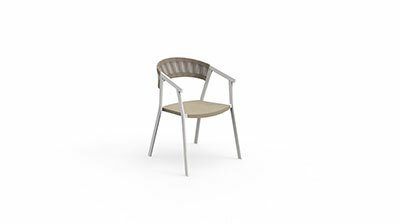 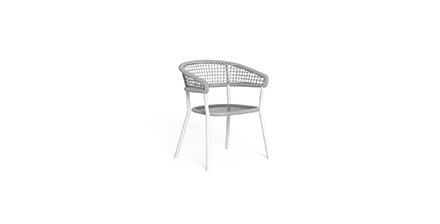 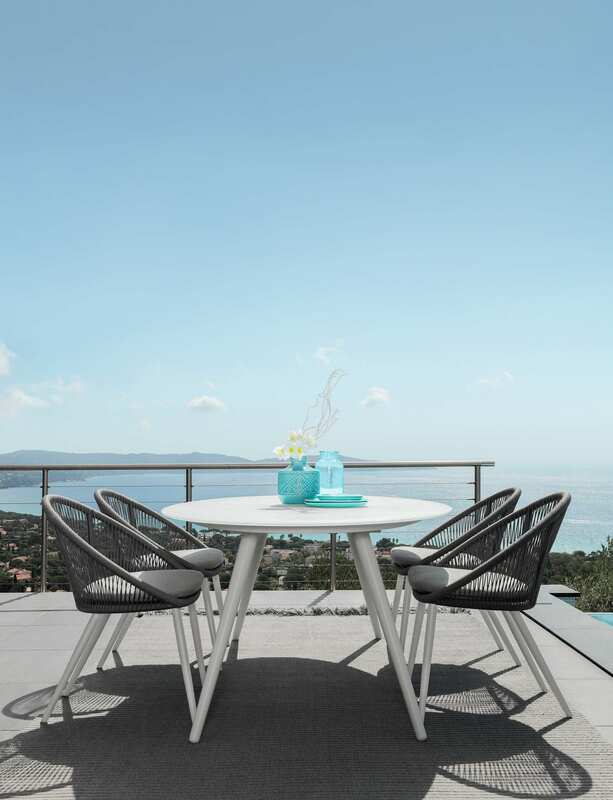 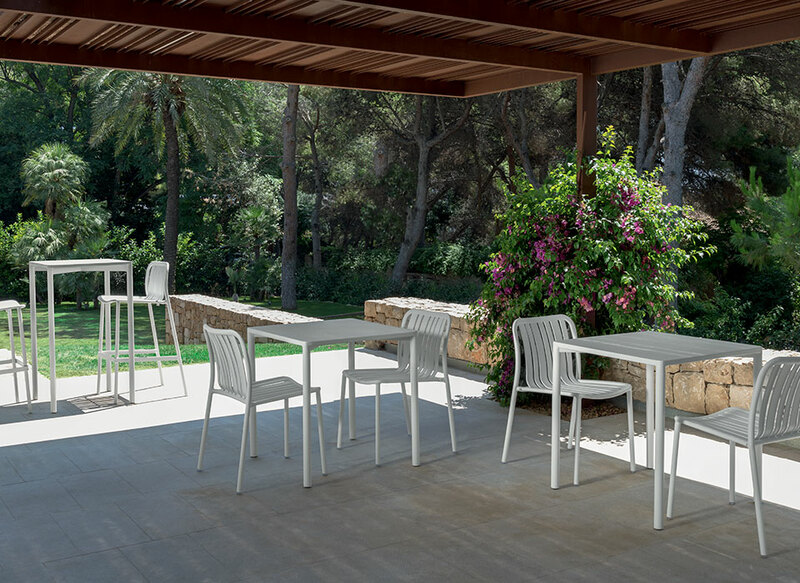 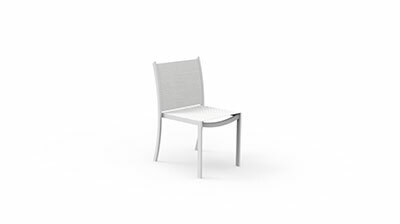 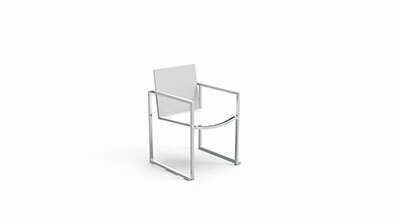 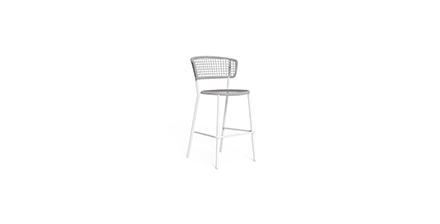 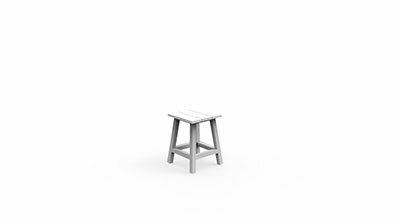 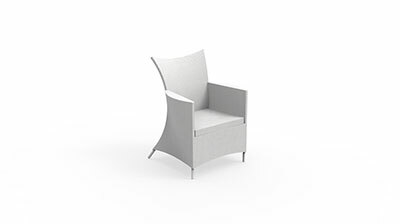 The aluminium of the legs and the fabric of the cushions make the armchair comfortable and stable, ideal for outdoor use. 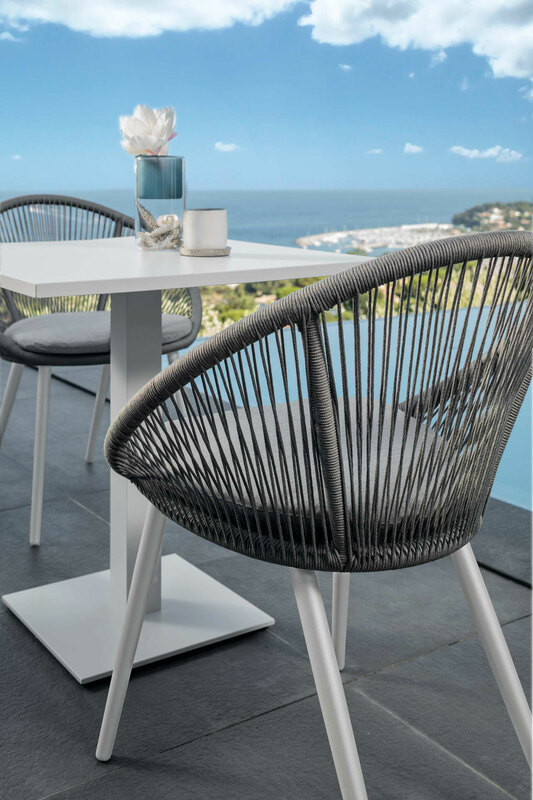 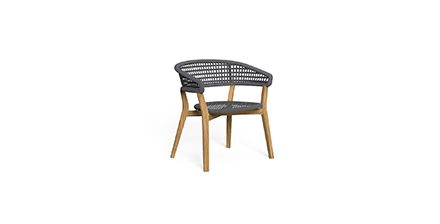 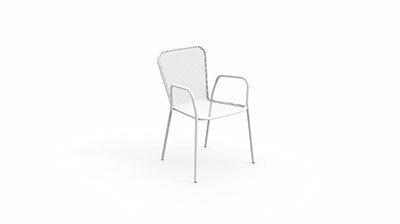 The backrest, entirely made of rope, which also covers the structure, embraces the body, making the dining area pleasantly relaxing.